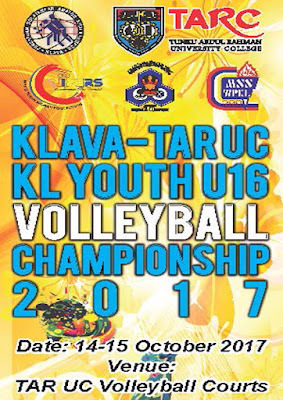 Please note that, all document and letters to this association should be addressed to "KUALA LUMPUR VOLLEYBALL ASSOCIATION" in future. 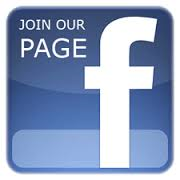 Kindly update your records accordingly and to address all future correspondence to our new association name. KLAVA ExCo Wishing all the coaches, players and volleyball fans happiness and prosperity Chinese New Year 2017. 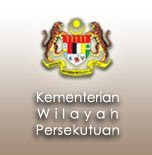 May all your wishes come true, good health , good luck and much happiness throughout the year. 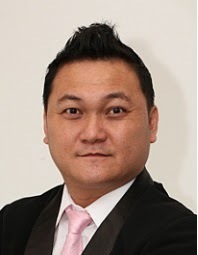 Congratulations to Mr Lee Han Kie (KLAVA treasurer) awarded P.P.W. 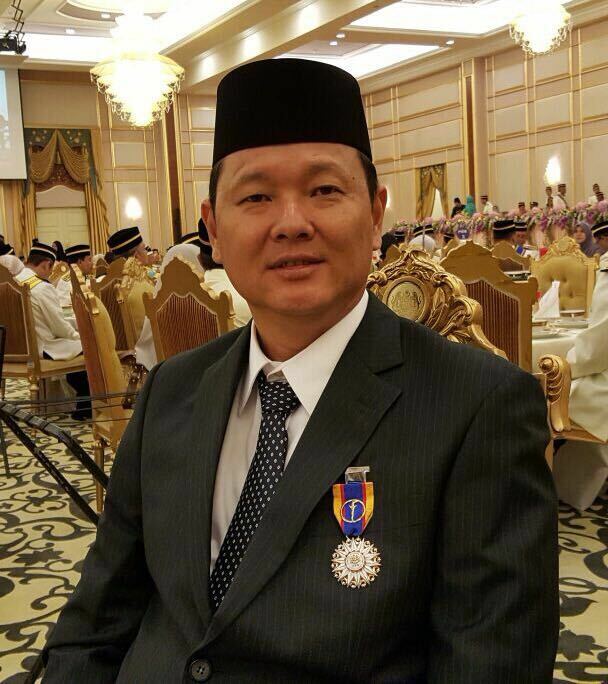 Congratulations to Mr Lee Han Kie (KLAVA treasurer) awarded "Pingat Pangkuan Mahkota Wilayah (P.P.W.)" 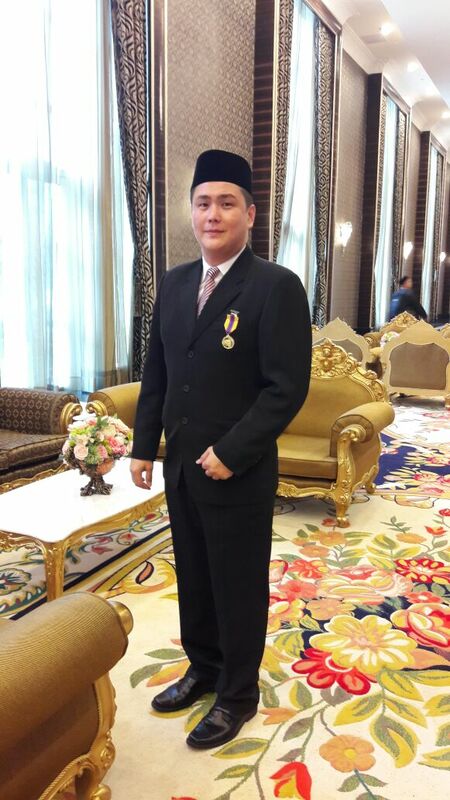 and the award given by the Yang di-Pertuan Agong at Istana Negara on 1st February in conjunction with the Federal Territory Day celebrations. 恭喜 Lee Han Kie 先生( KLAVA 财政) 荣膺最高元首陛下配合欢庆联邦直辖区日封赐 Pingat Pangkuan Mahkota Wilayah (P.P.W.) 服务有功勋衔志庆. 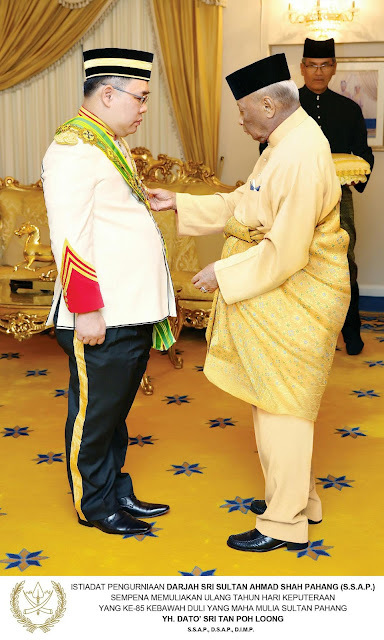 Congratulations to our Deputy President Dato' Tan Poh Loong awarded Dato' Sri (S.S.A.P) from Sultan Pahang on 20th August 2016. 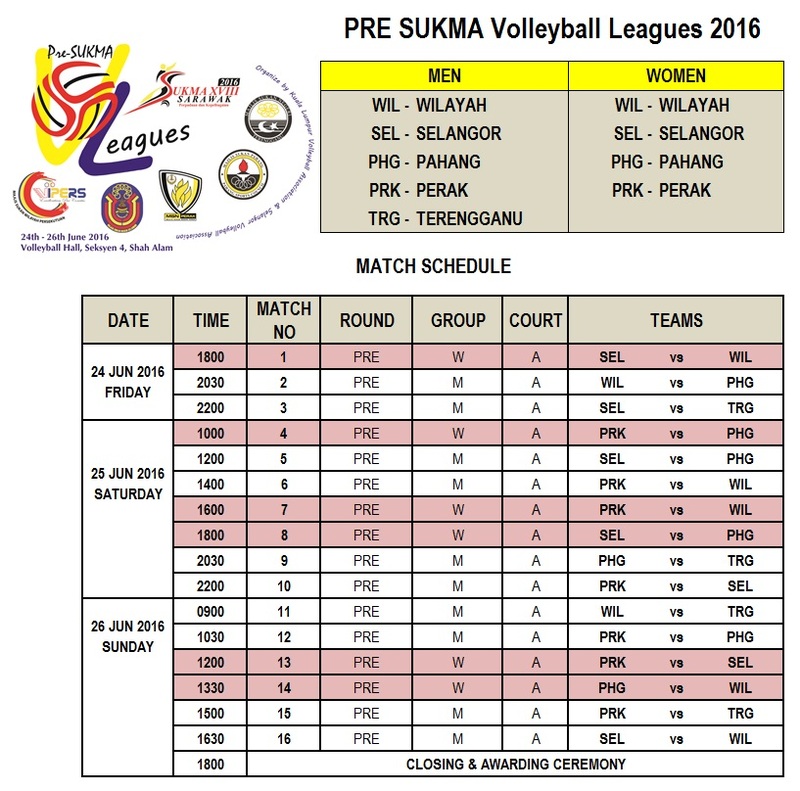 The Objective to have Pre-SUKMA Volleyball Leagues is for the SUKMA teams to prepare the SUKMA volleyball games in the coming July at Sibu, Sarawak. 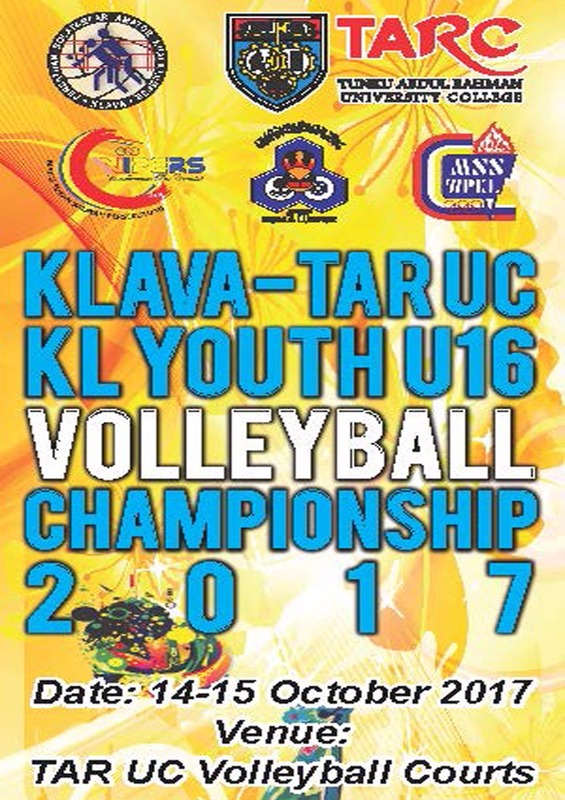 Total have 5 states team take part in this 3 days volleyball leagues and the 5 states are Wilayah Persekutuan, Selangor, Pahang, Perak and Terengganu. 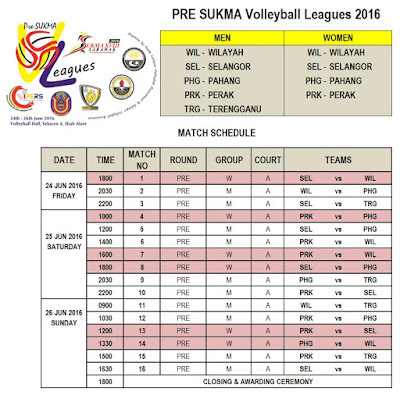 Venue : Volleyball Hall, Seksyen 4, Shah Alam. 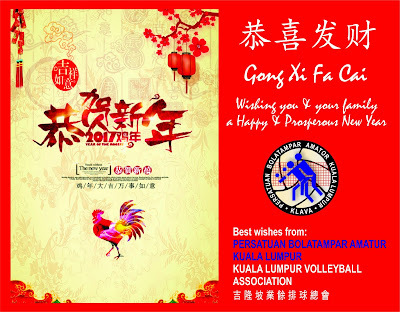 WISHING YOU A YEAR OF GOOD HEALTH, WEALTH, JOY AND HAPPINESS THIS YEAR OF THE MONKEY. 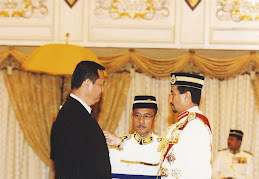 Our Vice President awared KMW. 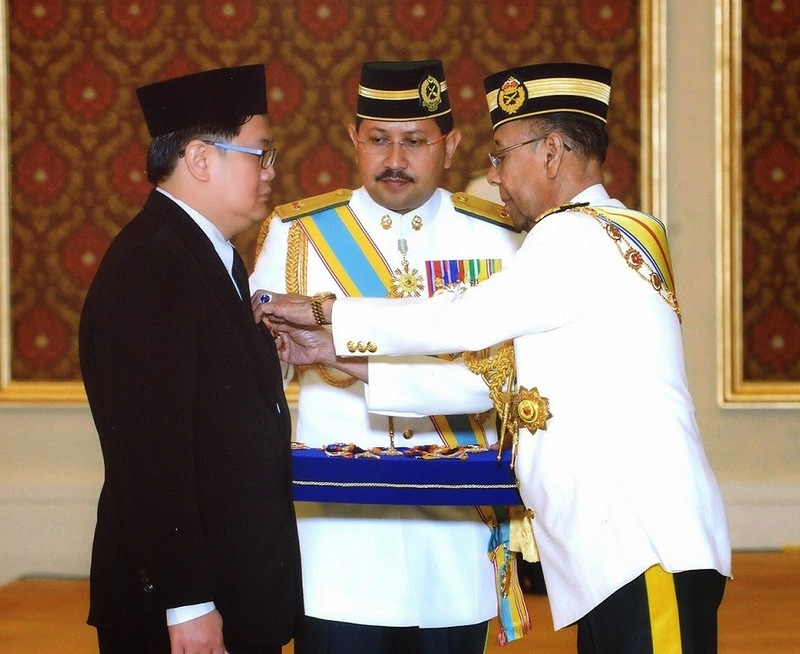 Congratulations to Mr Kenny Ng awarded "Bintang KESATRIA MAHKOTA WILATAH" (K.M.W) and the award given by the Yang di-Pertuan Agongat an at Istana Negara on 1st February in conjunction with the Federal Territory Day celebrations.